We don’t know if it’s the Beast from the East that’s got us thinking about packing our bags, but we’re starting to think a life of sailing the seven seas to warmer climates is just what the doctor ordered. No one knew how to get away from it all with a rum in one hand and something delicious in the other quite like the salty sea dogs, so we’re following in their footsteps! Check out our favourite pirate hot spots that boast endless blue seas, paradise beaches and none of the hustle and bustle of home. 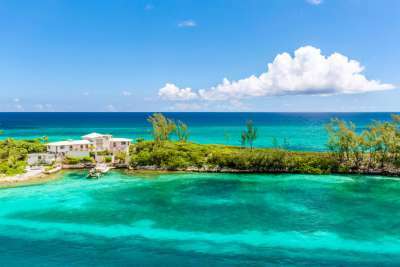 Once the pirate capital of the world, today Port Royal in Jamaica is known for being a sleepy fishing village by day, with a few party hot spots opening up when the sun goes down. Head here to enjoy some of the freshest fish in the Kingston area while searching for vestiges of the pirate past, including Fort Charles which dates back to the 1600s. When you're not exploring the area's history, you can relax on the inviting white sands of Lime Cay. 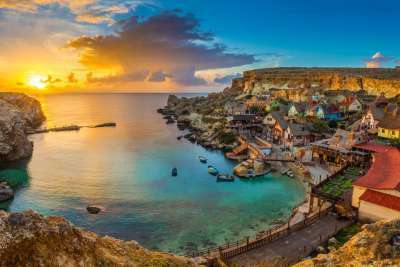 Anyone familiar with the laid back island of Malta might be surprised by its pirate past, but back during the 18th century Malta's prime location in the Mediterranean Sea made it a hub of swashbuckling activity. The nooks and crannies of the coastline make for great spots to lay low, pirate or not. Visit the island of Gozo to see the citadel, where cannons were once fired to alert the citizens of impending pirates, and take in panoramic views from the fortress walls. 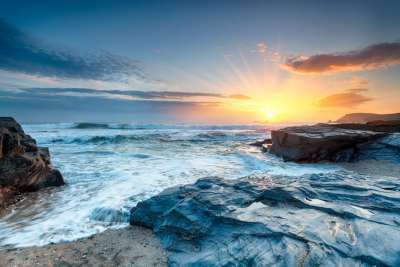 The coast of Cornwall was popular with some of the most famous scourges of the seven seas, including Blackbeard himself! The inlets and coves could easily hide ships, and they make for picturesque spots for picnics by the sea nowadays. Spend an afternoon at the stunning Kynance Cove, visit the old tunnels of Porthcurno Cove or relax on the sands of Church Cove during the day. In the evening head to Penzance to visit the Admiral Benbow, a pirate themed pub with its very own smugglers' tunnel! The paradise island of Madagascar was popular with sea rovers during the 17th and 18th centuries, with its miles of coves that are as breathtaking as they are secluded. It was popular with pirates thanks to its year-round warm weather and an abundance of food and fresh water, and it's still a prime destination for holidaymakers who want to get away from it all. 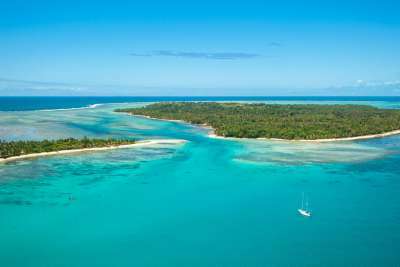 Head to the crystal clear waters of Ile Sainte Marie to see the wreckages of several ships, still visible in the shallow waters today, and while you're there why not opt for some snorkelling and whale watching too? The islands of the Bahamas were a pirate's idea of heaven - a place where they could spend their days lying in a hammock drinking rum under the Caribbean sun - so it's easy to see why Nassau became such a haven for seafarers! Legendary pirates made Nassau their home, including Edward 'Blackbeard' Teach, so it's no surprise that pirate history is on full display today everywhere from the well preserved forts to the Pirates of Nassau Museum. Of course, no visit to the Bahamas would be complete without a trip to a pristine white beach, and Nassau has these in abundance. Spanish fleets used the port at Havana as a base to congregate before their journey back to Europe, making it a popular spot for salty sea dogs throughout the Caribbean. They would frequent local taverns and listen for gossip about arriving ships, so they could take them by surprise and make off with the booty. Remnants of the pirate past can be found throughout the city, with the Maritime Museum at Castillo de la Real Fuerza being a top tourist choice. For a real blast from the past check out the Cañonazo ceremony, where you'll get to see a real cannon shoot over the bay! Just off the coast of Alicante lies the tiny Spanish island of Tabarca, a former refuge of Barbary pirates in the 18th century. 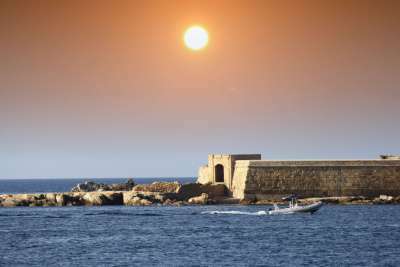 It was used as a hideaway when plundering passing vessels, before it was fortified by the Spanish King Charles III. Today, stepping into the atmospheric Old Town feels like stepping back in time, with its ancient cobbled streets and church. Take in stunning sea views from the 18th century walls, built to keep the pirates at bay, and don't forget to stop for lunch - the island is famous for its mouth-watering fresh seafood. 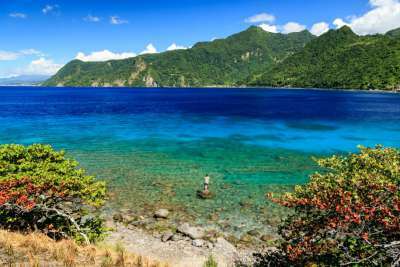 Eagle eyed travellers will recognise Dominica as the fictional Cannibal Island from Pirates of the Caribbean, Dead Man's Chest. The location is fitting, as the unspoiled island was once home to many a pirate and, if legends are to be believed, over a million pesos in buried treasure! It's thought that the loot was hidden in the many secluded caves that made the island such a popular hiding spot for pirates. Modern day Dominica is famous for its natural treasures, with tourists flocking to see the breathtaking beaches, lush green forests and crystal clear waterfalls. As Morocco's capital city, Rabat boasts plenty of charm and a quieter experience than bustling Marrakech and Casablanca. 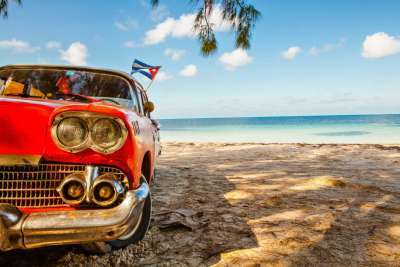 The city is a must-see for tourists looking for an off-the-beaten-track experience, and it just happens to lie next to the former pirate enclave of Salé. The city today bears little resemblance to the one the Salé Rovers called home, instead it showcases the best of traditional Morocco, with ancient religious monuments lining the streets and traditional craftsmanship on display around every corner. Visit the Bou Regreg river to see brightly coloured fishing boats unloading the catch of the day, and sample some traditional flavours at one of the local restaurants. 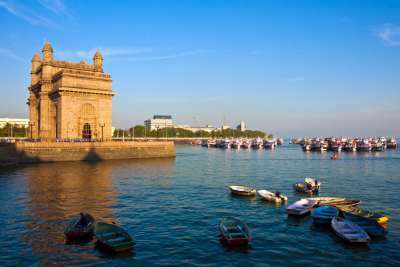 Mumbai was home to India's most famous pirate, Kanhoji Angre, the 'King of Pirates' who sailed the seas during the 18th century. His almost impenetrable hideout at Vijaydurg Fort can still be visited today - the impressive structure is nestled on the western coast of Maharashtra, and is a great spot for taking in views of the Arabian Sea. The nearby village of Vijaydurg is famous for its culinary delights, with fresh fish and mangoes being local favourites. If you're looking for a quiet sojourn away from the bustling streets of Mumbai, then Vijaydurg is just the place.